Pure Agile is challenging when applied in non-software development environments. However, combining the best of Waterfall with Agile methodologies, can deliver considerable successes. My journey into Agile has been interesting. I’ve trained, consulted and managed many Waterfall projects and large programs. Then some organizations were switching to Agile for non-software development projects, including: new product development, marketing, research and other types of projects, but they were struggling with them. Everyone was talking about Agile, so they believed it must be the right approach. They hired consultants for Agile, but it didn’t seem to be helping. Since, these were my customers, I was dismayed, so I began investigating Agile. My observations were that Agile was being used as an excuse to allow projects to run with no clear framework. These projects had no structure, no deadlines, no clear ‘deliverables’ and no vision for the projects. So, I realized that I needed to understand more about Agile. As a result, I became a certified scrum master and got myself engaged to manage some Agile projects. I wanted to test what I believed might be a better approach. I then refined my methodology and added Agile training to my project management portfolio of courses. Ultimately, I realized that pure Agile is challenging when applied in non-software development environments. However, combining the best of Waterfall with Agile methodologies, can deliver considerable successes. So, let me explain to you what I have learned about the what and why of Hybrid/Agile Project Management so that you can refine your processes or start some new ones for yourselves. Agile project management has become the buzz word for how all projects should be managed. It seems to have crept into all aspects of organizations. I keep hearing “our strategy is “Agile”, “Our work is Agile”, “Our hiring practices are Agile,” etc. Do they even understand what that means? What Agile Can Help You Achieve? The key for Agile is time. Less time in meetings and compiling reports. Less time waiting for decisions or waiting for an expert to attend a meeting. Shorter time spent on prototyping, testing and production because they’re all done in 3-week iterations instead of throughout the life of a project. 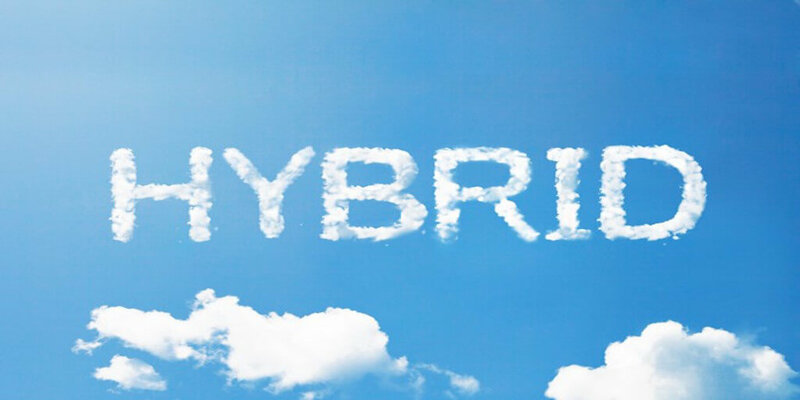 Hybrid/Agile is being successfully used on product development, service development, innovation, marketing, human resources, research and development and other non-software projects. When done right, it is saving time. Traditional, Waterfall-based projects use functional specialists who pass their completed work from one phase to another. They create detailed plans used to manage the entire project from beginning to end. The plans move the projects sequentially from concept development to feasibility testing to product design to development to pilot production and then to final production. Agile projects engage dedicated, cross-functional teams who create “tasks” for 2 or 3-week sprints. Each sprint incorporates all the project phases. There is a measurable deliverable at the end of each sprint. However, pure Agile enthusiasts believe that everything should be managed according to the Agile doctrine. Yet leaders of PMOs and project managers struggle with how to manage projects in a purely Agile environment. It requires significant cultural changes to operate successfully. Agile dictates that projects be managed in sprints of 2 or 3 weeks to deliver a measurable, testable product. Waterfall works well when the project’s deliverables are reasonably understood. But many projects last months or years. If the deliverables are too complicated for the entire project to be managed through a defined waterfall approach, then apply agile to deliverables with relative uncertainty and Waterfall to deliverables’ with certainty. This creates a more effective approach to the management of your projects. It is a hybrid approach. But a cultural shift within the organization is critical to its success. Proponents of Agile blame Waterfall for creating projects that are not successful. The root causes of most Waterfall problems are the result of poorly-scoped, poorly-planned and poorly-executed projects created by untrained teams. They don’t spend the time required to fully understand the customer requirements, to clearly define a measurable scope document, to develop a detailed project plan or to continuously assess risk. Proponents of Waterfall also blame Agile for creating projects that are not clearly defined with little customer requirements understood upfront. The root causes of most Agile problems are the result of not understanding how Agile operates, the lack of a clear Agile process and poor communication about Agile. As well, Agile teams often come together without adequate training and ongoing coaching. It is a change that require careful management. Operating within sprints is only one element of the entire Agile process. When project requirements are unclear Agile produces small product releases, which meet small, defined requirements. Agile allows for quick fixes and iterations rather than having a concern for getting it right the first time. It values speed over perfection, realizing that if it’s not perfect at the end of one iteration, it can be refined in the next one. There are constant interactions between multidisciplinary teams whose members are engaged from start to finish. These teams work collectively in dedicated spaces, not in isolation or within highly structured stages. They can quickly respond to changing customer requirements vs. traditional project management methods. This flexibility allows them to easily reconsider a decision resulting from new information. In my experience, combining Waterfall and Agile project management methodologies into a hybrid approach to manage projects increases the ability of projects to rapidly manage changing customer, sponsor and other project priorities. It increases the collaboration with customers to support a market-driven approach and reduces the cost of failure by finding defects earlier in the development cycle. It will improve project team performance.